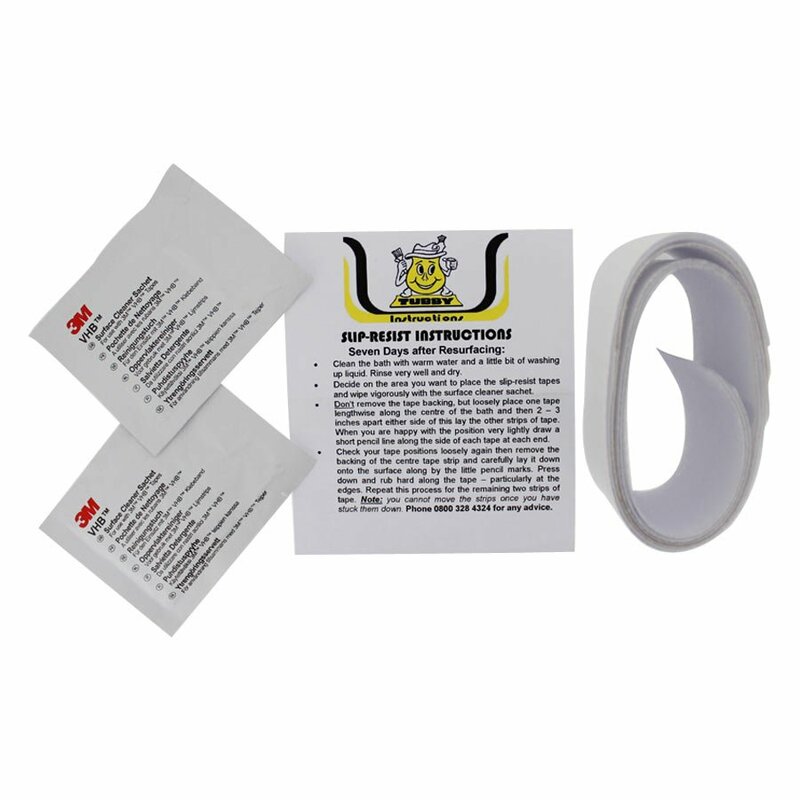 The Tubby Slip-Resist Kit is an excellent safety feature for use in your bath or shower. Almost invisible against white and smooth enough for comfort. Simply clean and dry the suitable area, degrease using the enclosed surface cleaner sachet, and position the self adhesive slip resistant tape for a comfortable and long lasting safety feature. Size: 3 strips – 400x50mm long to create a standing safety area. Perfect for the centre of a shower tray or the shower end of a bath.